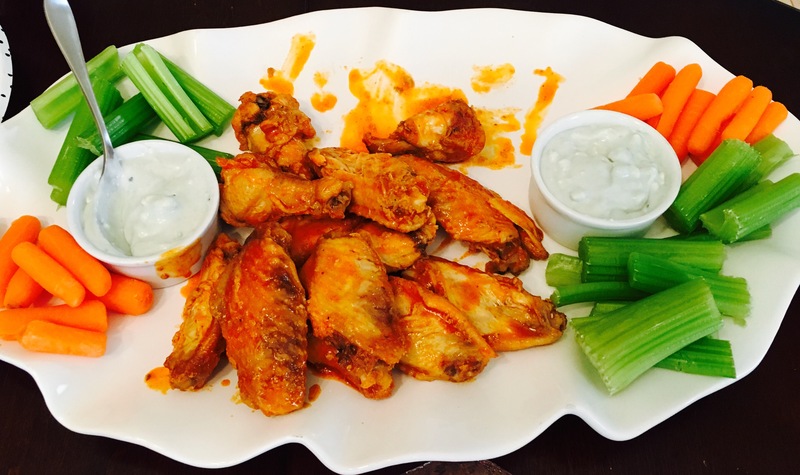 Easy wings… – Eat, Drink, and Go! Since discovering Sweet Baby Ray’s Buffalo Wing Sauce, I’ve had two successful wing making events. Today, I share this easy recipe for baked-not-fried buffalo wings that are super easy to make with the wing sauce as the finishing touch! Chicken wings, dry rub of black pepper (teaspoon), paprika (tablespoon) garlic powder (tablespoon) smoked salt (teaspoon), and brown sugar (2 tablespoons), Sweet Baby Ray’s buffalo wing sauce. Get the little drumsticks and wings pack. The little ones are the best, but this would probably work with any chicken cuts. About 2-3 pounds is a good amount. Marinate them overnight in the dry rub combo. Bake the next day at 350 for about an hour, first covered with foil then uncover and turn the wings once mid way. Then, take out of the oven and toss generously with the wing sauce, like half the bottle. Pop em back in the oven (this can be done later on if you want to mostly make them ahead of time or it can be all part of the same cooking). Bake at 350 for another 20 minutes til the sauce gets bubbly. Make your own bleu cheese dressing by combining real bleu cheese crumbles, sour cream, and a little light bleu cheese salad dressing. And voila!!! Half the plate was gone before I could even snap a pic!! 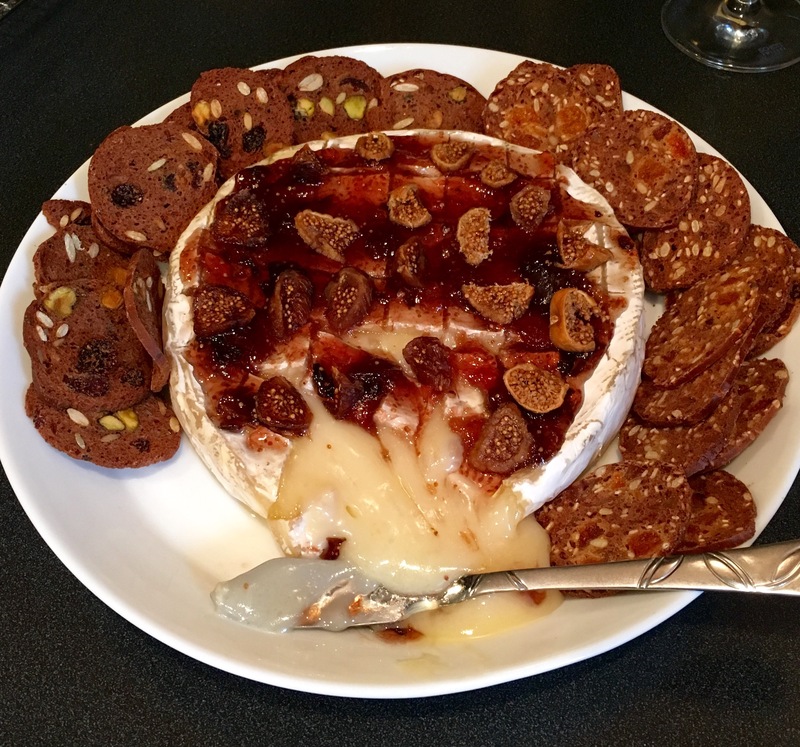 And, of course, the ooey goey melty Brie from my last blog…made it today! I used a fig jam and cut up dried figs on top, baked til soft, then plated and cut into it to release the cascade of melted bliss. Yummm!! Served with the Wild California crisps! I’m salivating……………… ooh, how I wish I could take a taste right through the screen!! !